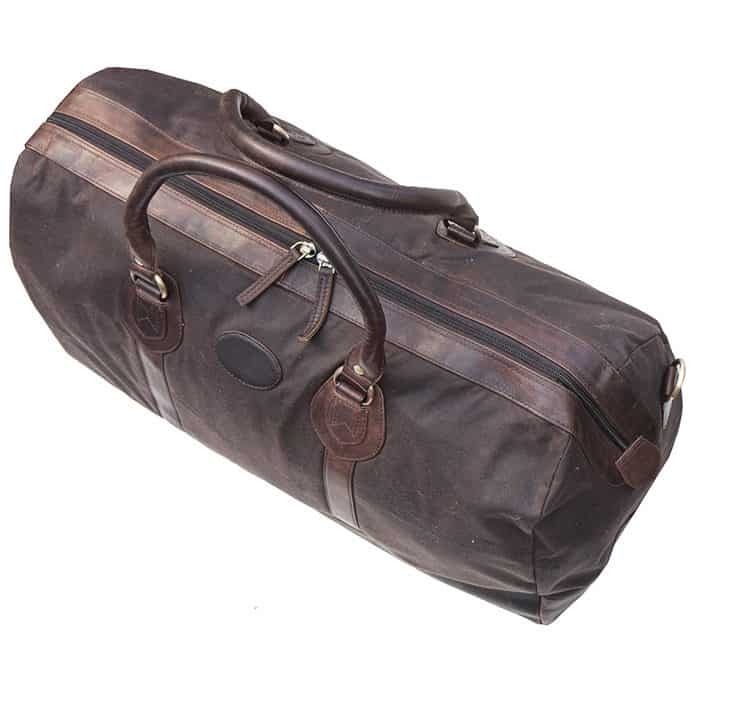 Made from high-quality UK-made Temple Moyle Mills waxed cotton and premium Buffalo leather, this high capacity holdall makes the perfect bag for weekends in the country or city-breaks. The butter-soft leather and sturdy canvas pair to create a timeless, yet trendy design, producing a bag that will be a reliable partner for many years to come. 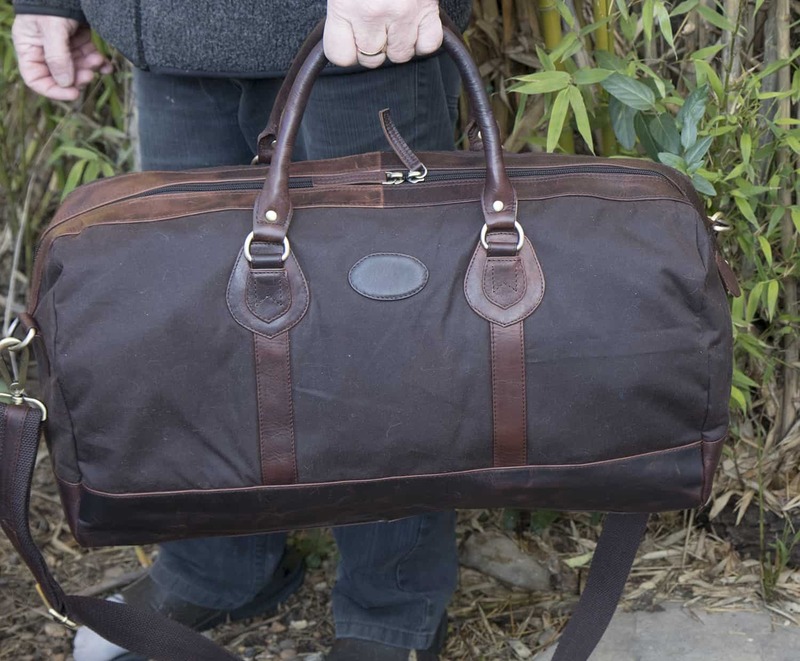 With two leather handles and a canvas shoulder strap, you can choose the easiest way to carry it, while brass hardware gives the bag the strength to take whatever you can fit inside. 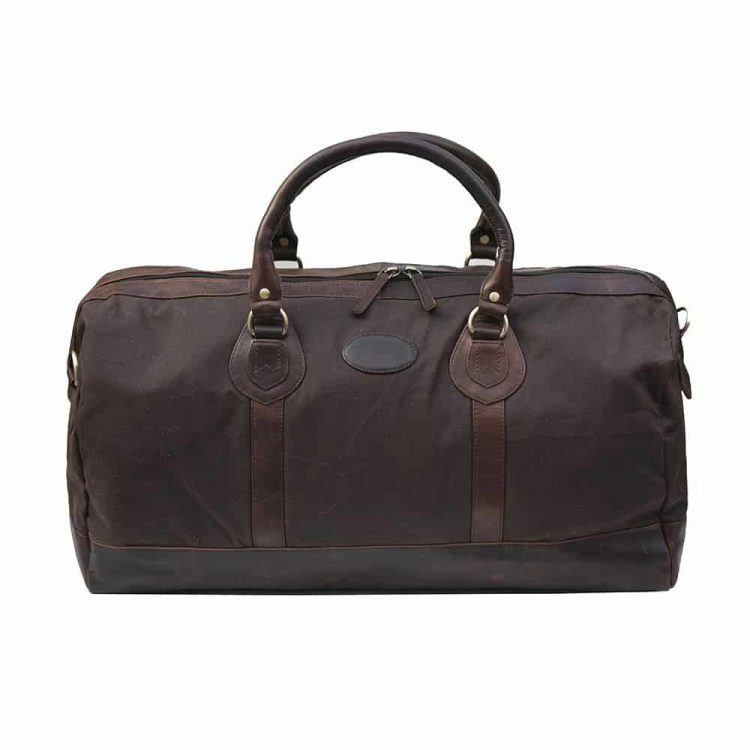 The oiled leather and waxed canvas will shrug off showers, and the brass feet protect the leather base from wear and tear. 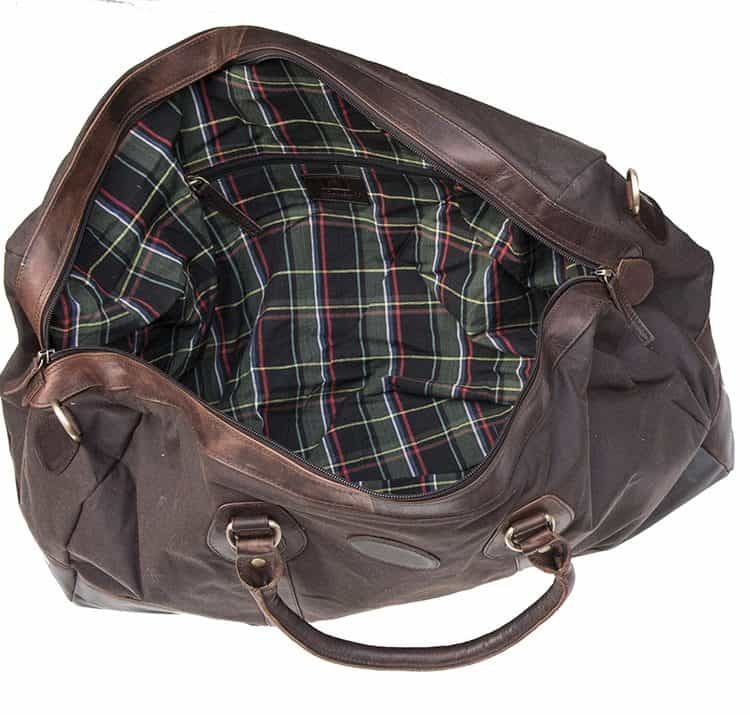 Inside the roomy interior, a checked cotton lining pads and protects your belongings and an internal zipped pocket keeps small items from getting lost. Solid zinc brass zips and leather pulls will give years of service without bursting or sticking.